I recently finished a couple more class samples for display in the shops where I teach classes. 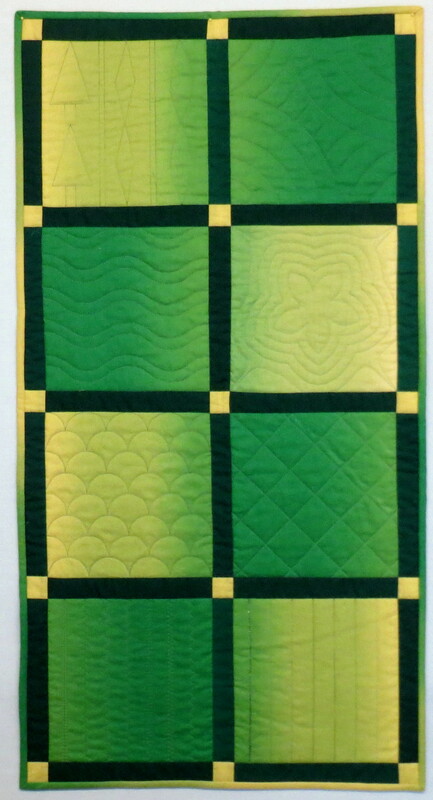 These show students what they will learn in my beginning quilting class. This is the class most suitable for quilters who have either never sandwiched and quilted a quilt, or have done a few and not been satisfied with the results. The other sample was done on an ombre fabric and I really like the result. Thanks to Susan Travis from Creative Union for suggesting this fabric from her sale rack! 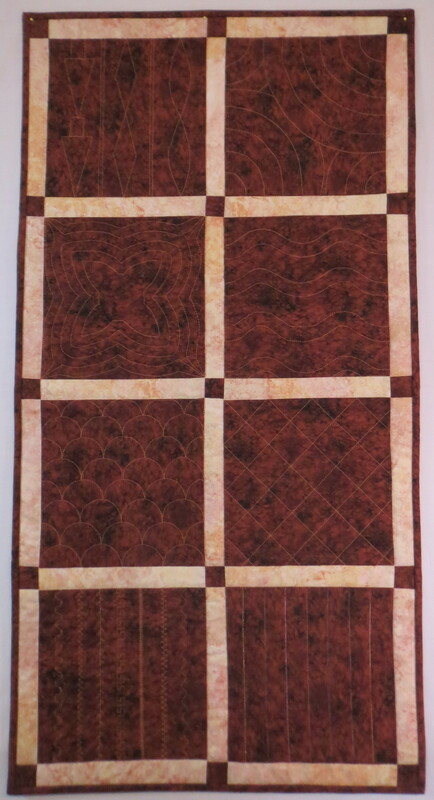 This entry was posted in Quilting on February 15, 2014 by Shirley at Mystery Bay Quilt Design.